Dominik Prokop is currently one of the most talented players from Austria, alongside names like Valtino Lazaro, Sacha Horvath or Nikola Zivotic. Coming from the Austria Wien academy, he recently won Academy Player of the Year. His great games in Austria’s U-18 setup resulted in promotion to the reserve side playing in Regionalliga Ost, which is the third tier of Austrian football. He spend his 13-14 there and played very well, scoring 6 goals in 21 games. He also netted twice in the UEFA Youth League, where “Die Velichen” got knocked out by eventual champions Benfica in the round of 16. 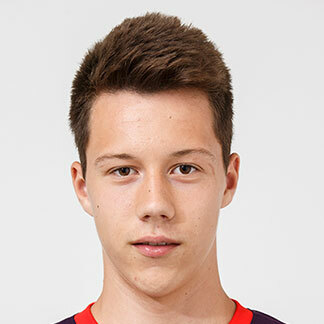 Dominik regularly represents Austria in the youth games, and is currently one of the biggest stars in the U-17 team.